Simon Aubury.com | Staring Simon; I have also never played a lawyer on TV. Confusing me with someone who has would be flattering, but incorrect and foolish. Staring Simon; I have also never played a lawyer on TV. Confusing me with someone who has would be flattering, but incorrect and foolish. Aircraft determine their position using GPS; and periodically transmit that position along with identity string, altitude, speed etc as ADS-B signals. Cats behave erratically, but generally display their displeasure by jumping on your face. 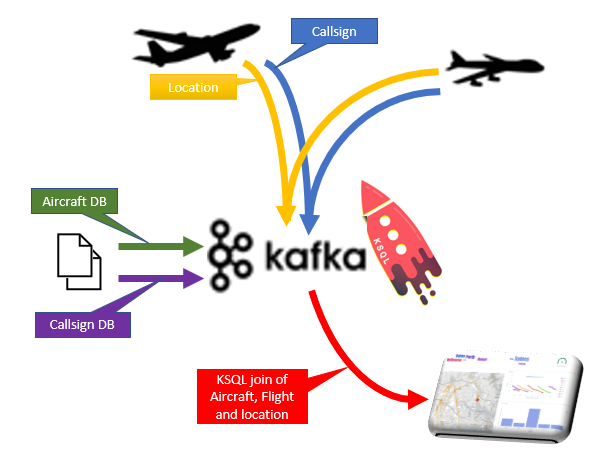 The post describes how we can use open source streaming solutions (Apache Kafka), KSQL (streaming SQL engine) and a Raspberry Pi to process aircraft movements in real-time to determine which plane is upsetting my cat. 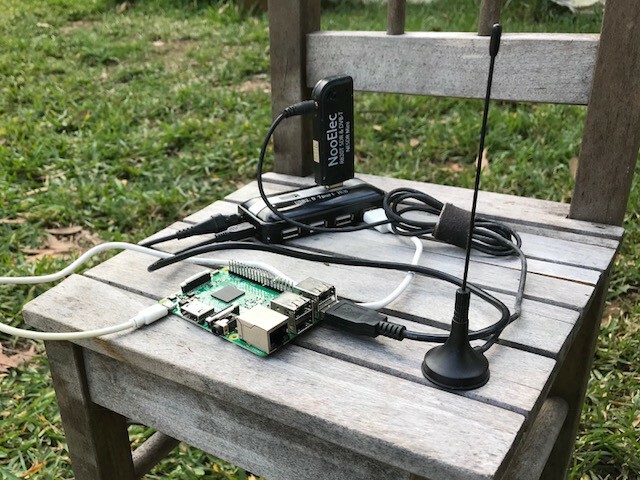 I built a receiver to listen to aircraft transponder messages (ADS-B signals) as the planes fly overhead. These aircraft transmissions are not coordinated — the messages appear as a jumble of interwoven transmissions. Specifically I wanted to capture the location and callsign transmissions. But unravelling these mixed streams is complex — it’s like trying to understand a conversation when everyone’s talking at the same time at a party. I decided to use a combination of Kafka and KSQL to find the plane that freaks out my cat. Now I’ve got a stream of raw ADS-B signals we need to have a look at the traffic. Kafka is a pretty awesome stream processing platform. I started by separating the incoming ADS-B signals into two kafka topics, location-topic (aircraft code with height and location) and callsign-topic (aircraft code and callsign). I wanted to understand what the planes were and what routes they were flying. Luckily I found a database of airframes (eg, ICAO code ‘7C6DB8’ is a Boeing 737). This mapping I loaded into the icao-to-aircraft topic. Similarly, into the callsign-details topic I loaded callsign details (eg, ‘QFA563’ is a Qantas flight from Brisbane to Sydney). Let’s have a peek at the “location-topic” stream. You can see a steady stream of incoming messages reporting location updates from passing aircraft. Now we have a constantly updating topic with flight details — we can make some pretty dashboards. I used Kafka Connect to pump Kafka topics into Elastic Kibana (full scripts). Here’s a sample of dashboards displaying aircraft location on a map. In addition a bar-chart of manufactures, an altitude line plot and a destination word-cloud. Terrific, I can locate a craft over my house at 6:15 am. It’s a A380 (which is a huge plane) on a flight to Dubai that’s waking my cat. 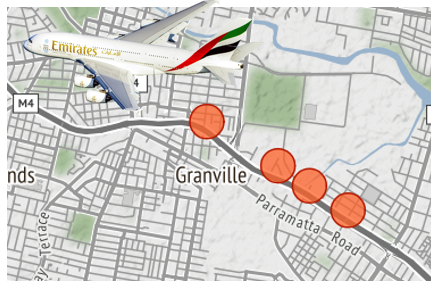 I can confirm this by reviewing the same time period in Kibana which shows a flight path directly over my house.